On booking an event with us we will send you an invoice for a non-refundable deposit. Your booking is confirmed on receipt of the deposit. We will hold your chosen date for 14 days. If the deposit is not paid within 14 days your chosen date may become available for another booking. We must receive payment of the whole of the price for your booking within 14 days of the performance date. Payment of the deposit represents an offer on your part to purchase our acting and performance servirces, which will be accepted by us only when the non-refundable deposit is paid. Only at this point is a legally binding contract created between us. To enable us to process your booking, you will need to provide us with your e-mail address. We will notify you by e-mail as soon as possible to confirm receipt of your deposit and to confirm details. For the avoidance of doubt, this correspondence does not constitute a contract between us. All rights, including copyright, in this website are owned by or licensed to Tall Tales Mysteries. Any use of this website or its contents, including copying or storing it or them in whole or part, other than for your own personal, non-commercial use, is prohibited without our permission. You may not modify, distribute or repost anything on this website for any purpose. All bookings are subject to acceptance and availability. If the performance you want to book is not available or is already booked, we will contact you by e-mail or phone (if you have given us details). You will have the option either to cancel your booking or to alter the date of your booking. You are able to correct errors on your booking at any point up until 14 days before your performance in terms of the number of guests you expect. You may alter your chosen mystery theme up to 30 days before the performance to allow us to ensure your chosen theme is properly prepared. The prices payable for our performances are available by contacting us and are dependent on the numbers of guests you anticipate.. All prices correct at the time of entering information. Where it is not possible to accept your booking of the your chosen murder mystery theme at the price indicated, we will advise you by e-mail, and you an alternative date and/or murder mystery theme at the price stated in the e-mail and will state in the e-mail the period for which the offer or the price remains valid. 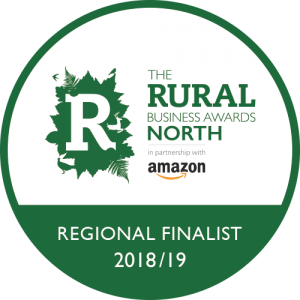 We will take payment upon receipt of your booking via cheque, Paypal, cash or bank transfer.. We accept no liability if a booking is not confirmed because you did not give us the correct payment details. If it is not possible to obtain full payment for the non-refundable deposit from you, then we can refuse to process your booking and that date may become available for another customer. This does not affect any other rights we may have. 10.1 Under The Consumer Contracts (Information, Cancellation and Additional Charges) Regulations 2013 SI 2013/3134 you have the legal right to cancel your order up to 14 calendar days after the day on which you placed your booking. You do not need to give us any reason for cancelling your contract nor will you have to pay any penalty. 10.2 Your booking will be confirmed once we have received your deposit, paid either by cheque, money transfer, Paypal or cash. 10.3 Should you wish to cancel your booking, you can use the cancellation form provided at the end of these terms and conditions, or alternatively you can notify us in writing by any durable medium (for example letter sent by post or e-mail). 10.4 If you cancel your booking within 14 days of your planned performance you agree to pay half the full cost of the fee due to Tall Tales Mysteries. 10.5 If you cancel your booking within 7 days of your planned performance you agree to pay the full cost of the fee due to Tall Tales Mysteries. 10.6 If you have received the props or any other items to help with the marketing of your event before you cancel your contract then you must send these items back to our contact address at your own cost and risk. 10.7 Where you have notified us that you are cancelling your contract more than 14 days before your event we will not refund the deposit. All deposits are non-refundable but you will not be liable for any further payments. 11.1.3 we cannot perform due to events beyond our reasonable control. 11.2 If we do not process your booking for the above reasons, we will notify you by e-mail. 12.1 Unless agreed otherwise, if you do not receive goods ordered by you within 30 days of the date on which you ordered them and decide to cancel the order rather than re-arrange delivery (in accordance with clause 11), we will provide you with a full refund. 12.2 We are only responsible for losses that are a natural, foreseeable consequence of our breach of these terms and conditions. We do not accept liability if we are prevented or delayed from complying with our obligations set out in these terms and conditions by anything you (or anyone acting with your express or implied authority) does or fails to do, or is due to events which are beyond our reasonable control. 12.3 Furthermore, we do not accept liability for any losses related to any business of yours including but not limited to: lost data, lost profits, lost revenues or business interruption. 12.4 You must observe and comply with all applicable regulations and legislation, including obtaining all necessary customs, import or other permits to purchase goods from our site. The importation or exportation of certain of our goods to you may be prohibited by certain national laws. We make no representation and accept no liability in respect of the export or import of the goods you purchase. 12.5 Notwithstanding the foregoing, nothing in these terms and conditions is intended to limit any rights you might have as a consumer under applicable local law or other statutory rights that may not be excluded nor in any way to exclude or limit our liability to you for any death or personal injury resulting from our negligence. You have certain rights as a consumer including legal rights (e.g. under the Consumer Rights Act 2015) relating to faulty and/or misdescribed goods. Unless otherwise expressly stated in these terms and conditions, all notices from you to us must be in writing and sent to our contact address at 8 High Row, Gainford, near Darlington, DL2 3DN and all notices from us to you will be displayed on our website from time to time. Tall Tales Mysteries are committed to respecting and protecting the privacy of anyone using our site and the confidentiality of any information that you provide us with. The purpose of this statement is to set out how we use any personal information that we may obtain from you. We with the Data Protection Act in all our dealings with your personal data. If you do not wish to accept cookies from our website, please leave this site immediately and then delete and block all cookies from this site. Alternatively, you may opt out of receiving information from us by e-mail, telephone, fax or post. 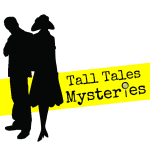 Our phone number is 07833 715504 or you can e-mail us on sara@talltalesmysteries.com.